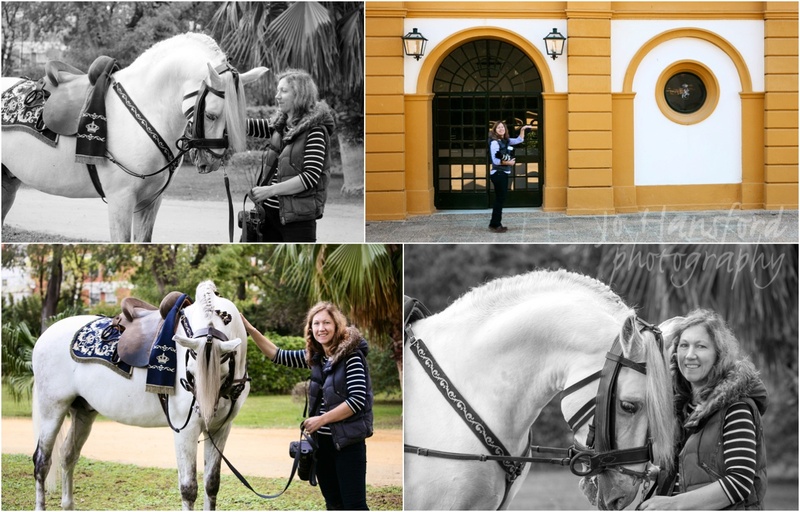 We have been busy bees these last few weeks, not just with the run up to Christmas, but also with working on the results of our recent amazing photoshoot with the Royal Andalusian School of Equestrian Art in Jerez. Back in November we spent a fantastic two days on a commissioned shoot for the school – capturing the show, behind the scenes, the riders and horses – spectacular. We will share more images soon, for now we just wanted to post a couple of shots of the amazing and stunning school, and me (eeeek!) with one of the beautiful horses, Nubolare.